Death Valley became a national park on October 31,1994 as a result of the passage of the California Desert Protection Act. But its history goes back much further: The 3.4-million acre park is a land of wonder for fans of both geological and human history. Here in this stark desert in Southern California, the passage of time is etched into the landscape itself. It’s evident in the seemingly endless stretches of white salt flats that hint at a time when the desert was covered in water. It’s written in the petroglyphs on the golden walls of canyons. It’s whispered through the gaping mouths of long-abandoned mine shafts perched high on mountainsides. 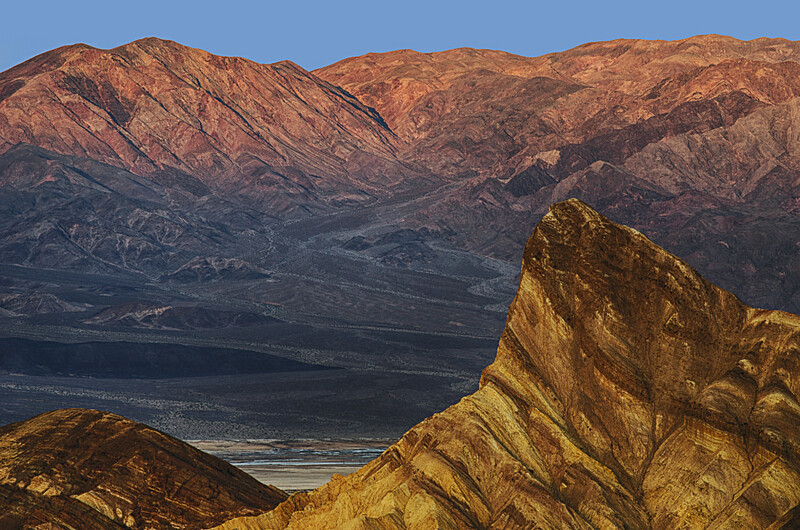 For outdoor adventurers, Death Valley presents an opportunity to hike and camp among some of the most fascinating history in California—and the West. From the Pliocene Epoch to the modern age, here are five ways to travel through time in this unforgettable destination. Geologists tout Death Valley as a dream come true, and their enthusiasm is definitely not an understatement. 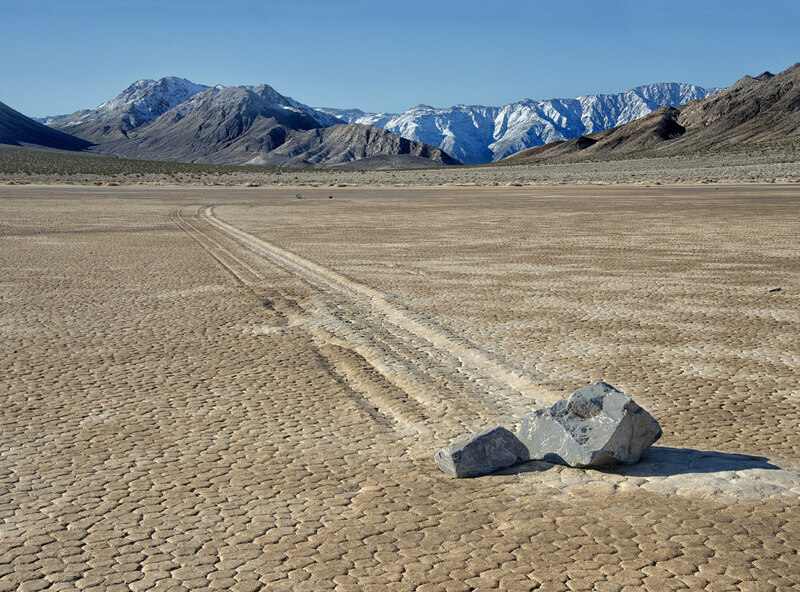 The mysterious sailing stones of The Racetrack may get all the hype in Death Valley, but the real wonder exists in a place few people will ever go. In a canyon along Badwater Road (the National Park Service does not publicly disclose the name or exact location), an incredible array of fossils from the Pliocene Epoch lies untouched. Tracks from mastodons, camels, horses, cats, and ancient birds are spread across five square miles. 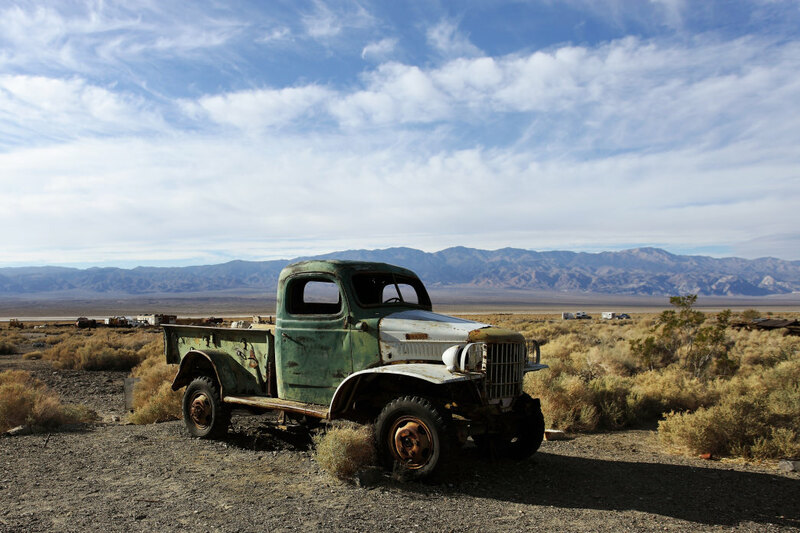 These relics were left in the mud approximately five million years ago when Death Valley was more verdant. The mud hardened into rock and the tracks were preserved. Individual travel into the canyon is prohibited, but once a year the park holds a paleontology tour where a ranger will lead groups of 15 on a seven-mile round-trip hike to the site. To be considered for a spot on the tour, you can enter the lottery, which typically opens in December. 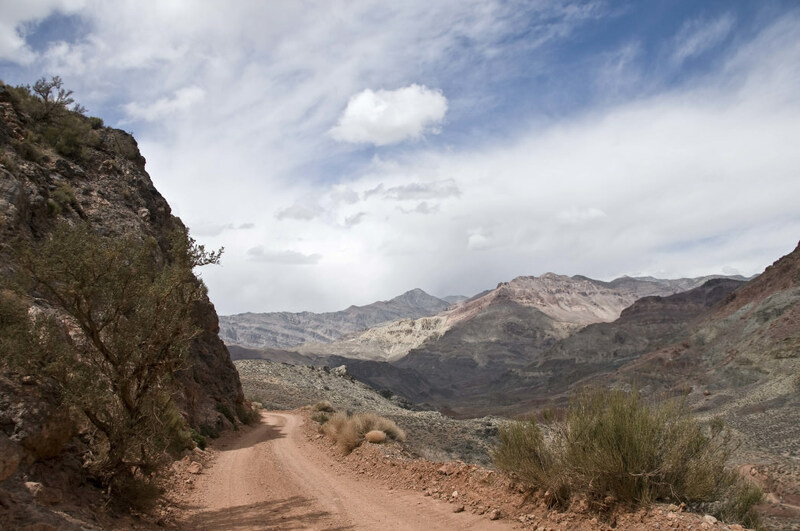 Death Valley’s history is often closely linked with the daring men and women who crossed the valley in 1849 in search of gold. But long before white pioneers discovered the area, the Timbisha Shoshone, who continue to live in the park today, were already thriving in Death Valley, with a history that dates to 900 A.D. They lived along the low valley floor during the cooler winter months and migrated up to the high country during the hot summer. They sought out underground springs, hunted mule deer with bows and arrows, and harvested native vegetation. During the Gold Rush in 1849, however, pioneers disturbed their peaceful way of life, cutting through the desert, damaging water and food supplies, and essentially pushing the Timbisha Shoshone out of their homeland. Though the U.S. would later declare peace between invading pioneers and the natives, they did not relinquish land to the tribe until 1936, when the park service gave them 40 acres of desert at Furnace Creek. Today, there are about 50 people living at the site, including elders who teach younger members of the tribe the native language. To experience the history of the Timbisha Shoshone, you can look for petroglyphs in places like Titus Canyon or pictographs in sites like Panamint City. Keep in mind that the location of many petroglyphs is kept secret, so if you come across petroglyphs in the backcountry, do not publicize their location. You can also learn more about the Timbisha Shoshone by visiting the village in person. For just a few dollars, the Timbisha Shoshone Taco Shack will serve you a heaping plate of ground beef, beans, lettuce, tomato, and cheese on top of traditional frybread. Zabriskie Point is possibly the most photographed site in Death Valley, but it was catching a certain pioneer’s eye long before it was showing up on Instagram. Manly Beacon, the jagged, shark-tooth shaped rock formation that anchors the badlands, was named for William L. Manly, a Gold Rush pioneer who crossed the valley in 1850. He used the sharp peak as a waypoint on his numerous trips through the vast desert. 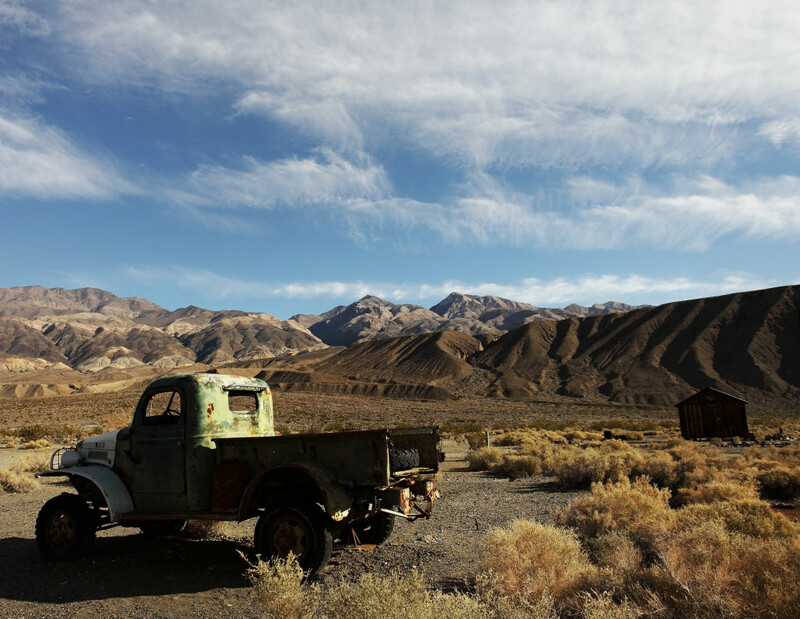 As a result of Death Valley not becoming a national park until 1994, mining was allowed for more than 140 years. If you’re hiking through a canyon or driving along a backcountry road in the park, it’s not uncommon to see relics from this time. Mining began in Death Valley in 1848 with the discovery of gold, but the park’s most famous export is far less glamorous. Borax was first mined in 1883 and continued to be mined until 2005, when the Billie Mine, located on the road to Dante’s View, was closed. 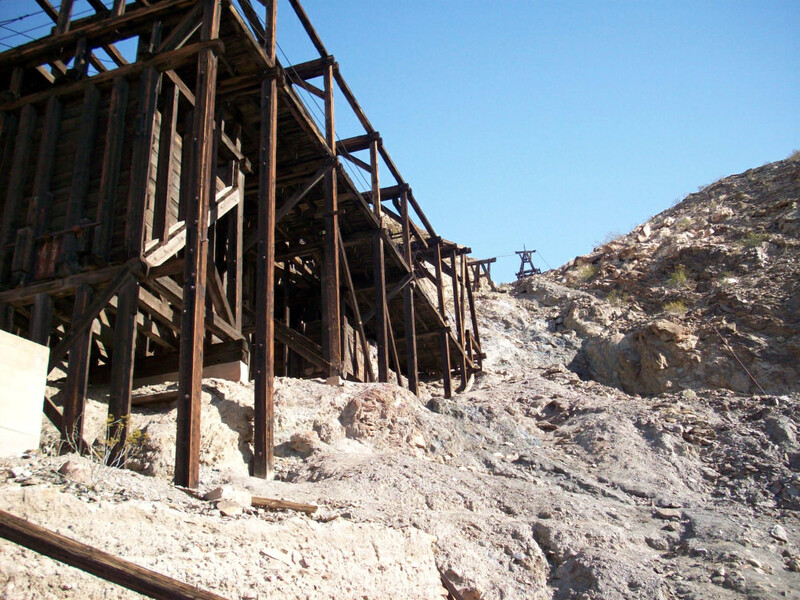 Mining ruins are located throughout the park, but the easiest place to see them is at Harmony Borax Works near Furnace Creek. Harmony Borax Works was famous for using 20 mule teams to haul approximately three tons of borax a day from 1883 to 1888. If you’d like to hike among the ruins of a gold mine, visit the newly reopened Keane Wonder Mine. The remarkably well-preserved site dates back to 1907 and features an aerial tramway that once moved 70 tons of gold per day down the steep mountains. The foreboding name, ominous ravens circling the valley, and deadly summer temperatures aren’t the only macabre things about Death Valley. For a brief period in the late 1960’s, Charles Manson and his so-called family called the park home. Located deep within the western Panamint Mountains, the ruins of the Barker Ranch still remain. You’ll need a seriously rugged 4x4 high clearance vehicle if you want to drive to the site, but the journey can also be made on foot by way of a rough dirt road that cuts through the Goler Wash. Originally, the Barker Ranch was owned by ranchers who built the stone cabin in the 1930’s and sourced water from a nearby spring. They later sold the ranch to the Barker family, who rented it to Charles Manson in 1968. His cult moved in, believing that there was a secret underground cave beneath the mountains that he and his followers would hide out in after the world descended into chaos as a result of their murders. Dubbed the “Demon of Death Valley,” by Time magazine, Manson explored the park by dune buggy and was eventually arrested for auto theft. When the police raided the Barker Ranch, he was found tucked inside a bathroom vanity on the property. In 2009, the Barker Ranch mysteriously burned down, but ruins are still visible to those willing to make the trek. 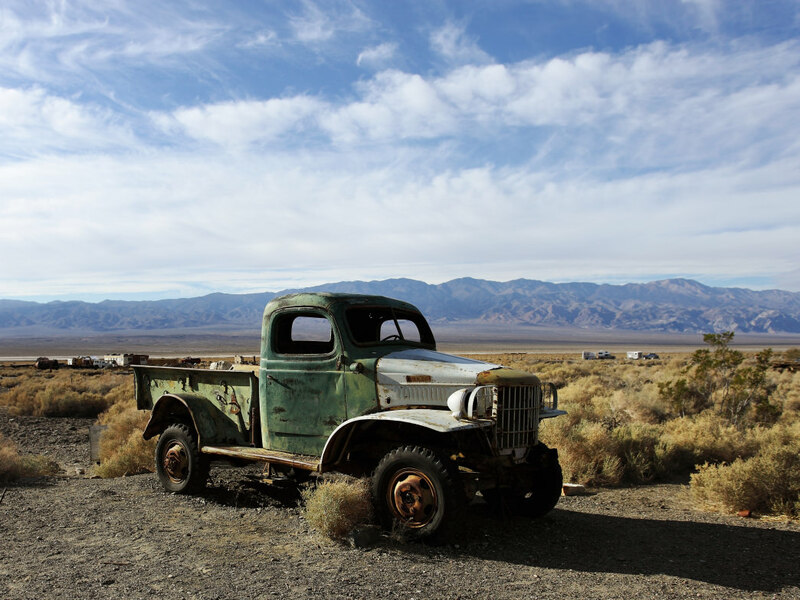 If you visit, swing by the ghost town of Ballarat on your way into the canyon, where the eerie specter of Charles Manson’s 1942 Dodge Power Wagon remains, rusting in the desert sun.